Our DBK plain tank is perfect for the summer season! This stylish tank is crafted with a cozy cotton blend to ensure maximum comfort and easy mobility, simply pair with denim shorts for an effortless casual look. Warning: prices, links and product specifications for DBK Burgundy Tank Top are submitted by our listed stores. Please notify us if you find any errors. 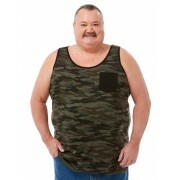 Search hundreds of online stores that deliver to Sydney, Brisbane, Melbourne, Canberra, Perth, and all over Australia and find the best offers for DBK Burgundy Tank Top. 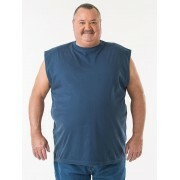 Only on ShopMania you can find the lowest DBK Burgundy Tank Top prices available, learn about the latest discounts and compare men's clothing deals. Here you can browse through the DBK Burgundy Tank Top photo gallery, find out all about its features and specs and read the product reviews and user comments from our community.